SMDS students are fortunate to benefit from St Margaret's Church's large open space to the south of the school building. Students have been able to witness the beginning of a 250-tree forest reclamation project, which restores natural habitats and provides students with the ability to learn about native species and sustainable development. Some of the young trees were damaged last year by mowing and deer and have been replaced. Mowing of the area has been stopped indefinitely and protective sheaths have been placed around the vulnerable trees. This project is a great way for our students to see how fragile and full of wonder our environment is. 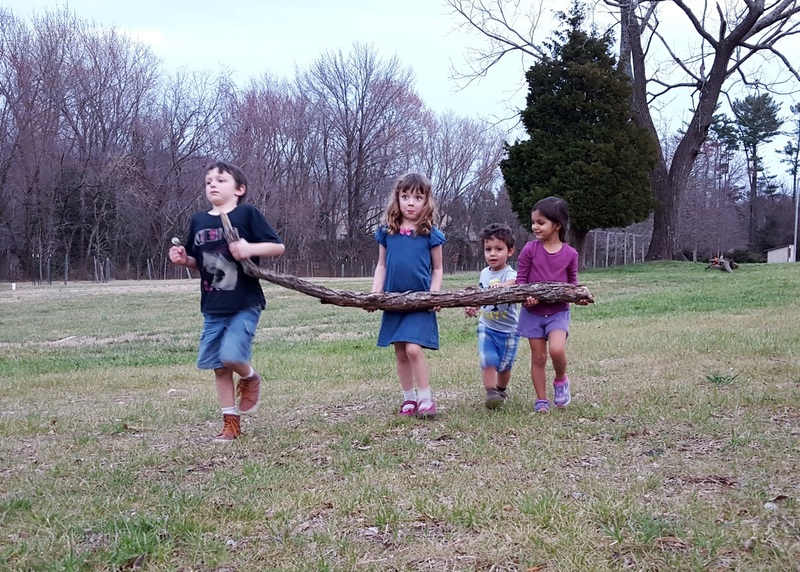 The picture above shows our Pre-K students walking through our nature restoration project area in February of 2016. In the right picture, four students from different classes show off their cooperation skills to bring a piece of the forest a little closer to the school. 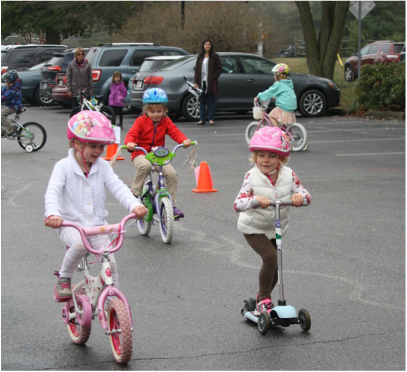 Every year since 2000, St. Margaret's Day School has cooperated with St. Jude's to conduct a joint bike/trike safety program and fundraiser on our school grounds. We always encourage activities that include exercise and we combine learning and exercise whenever we can. 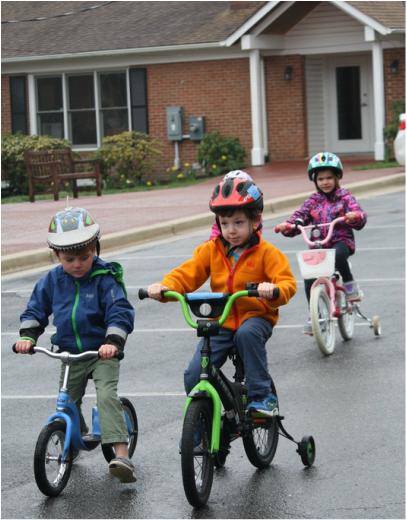 Though our local community does not feature sidewalks or protected bike lanes, we encourage students to run, walk, bike, and play in their own neighborhood and anywhere else they can do so safely.